Longtime Grace College men’s basketball coach, Jim Kessler, coached the final college basketball game of his career Tuesday night as he coached the NAIA East all star team. The East team lost to the West, 111-107. Stats from the actual game were not immediately released by the NAIA. Below is a portion of a report from the online news site, InkFreeNews. Click here to read the complete story. Away from the pomp and circumstance at his alma mater, Jim Kessler was able to formally say goodbye to college basketball on a big stage. 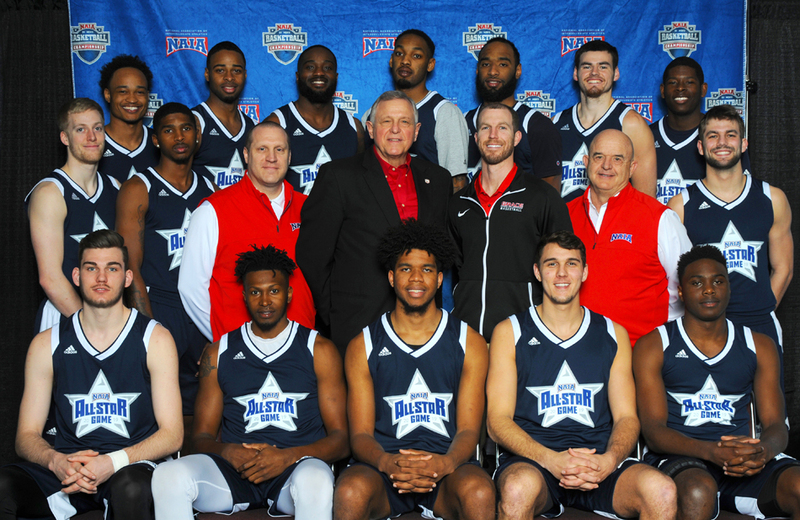 Kessler coached the East All-Stars Tuesday night at the NAIA All-Star Basketball Game as part of a doubleheader with the NAIA Division I Men’s Basketball Championship. The title game saw Georgetown (Ky.) defeat Carroll College (Mont.) 68-48. The first act, however, had a pair of Hall of Fame coaches lead the All-Stars in an exhibition at Municipal Auditorium. Kessler, who wrapped up a 42-year career on the sidelines of Grace College last week at the NCCAA Championships, led the NAIA East All-Stars. His senior superstar, Logan Godfrey, also took part for the East in his final contest as a college player.